Martinsville - Henry County, Virginia is a thriving community of nearly 70,000 people positioned in the heart of Southern Virginia. Halfway between the Roanoke Valley and the Piedmont Triad region of North Carolina, Martinsville - Henry County is located within 50 miles from Interstates 77, 85, 40, 81 and proposed I-73. The community is well-served by two four-lane divided highways, 220 (North/South) and 58 (East/West). Southern Virginia has undergone a complete economic transformation in the past 10 years. Traditionally, the region was dominated by the furniture, textile and agriculture industries. Because of its stable and friendly business climate, the region has successfully diversified its economy and attracted both national and international companies from a wide variety of industries. These industries include plastics manufacturers, food processing, warehouse & distribution, information technology, biotechnology/pharmaceuticals and auto supply manufacturing. New and expanding businesses benefit from low operating costs, a business-friendly tax structure and a turnkey approach to providing essential operating services at highly competitive rates. State and local tax credits and other incentives are also available to many of these businesses. Martinsville - Henry County, along with the surrounding area, benefit from a labor force of more than 200,000 workers. Area businesses and residents benefit from a number of other services available to them. Businesses can take advantage of freight service provided by Norfolk Southern Railways to major ports including the Port of Virginia. Commercial air service is available nearby at Piedmont Triad International Airport (Greensboro, NC). Blue Ridge Airport and Danville Regional Airport offer general aviation service. Martinsville - Henry County is served by the Mid-Atlantic Broadband Cooperative which provides a cost-effective, carrier-class, high bandwidth telecom infrastructure to its resident businesses and industry. 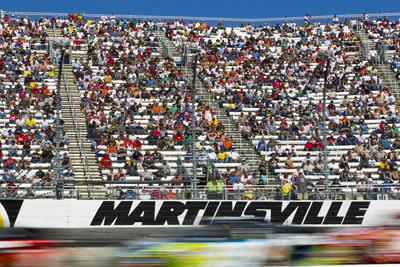 Martinsville - Henry County, VA offers a wide variety of historical, artistic and cultural attractions. There are also a wide range of recreational opportunities available to area residents and visitors alike. For more information on these attractions, please visit the Martinsville - Henry County Division of Tourism website.